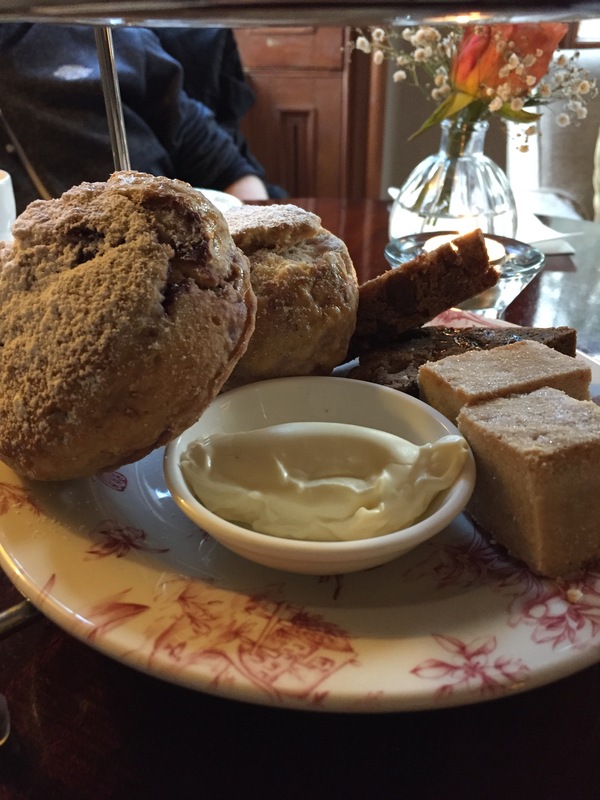 Continuing with the what’s now weekly Afternoon Tea…we went to Mayo for the weekend so we visited Mount Falcon. 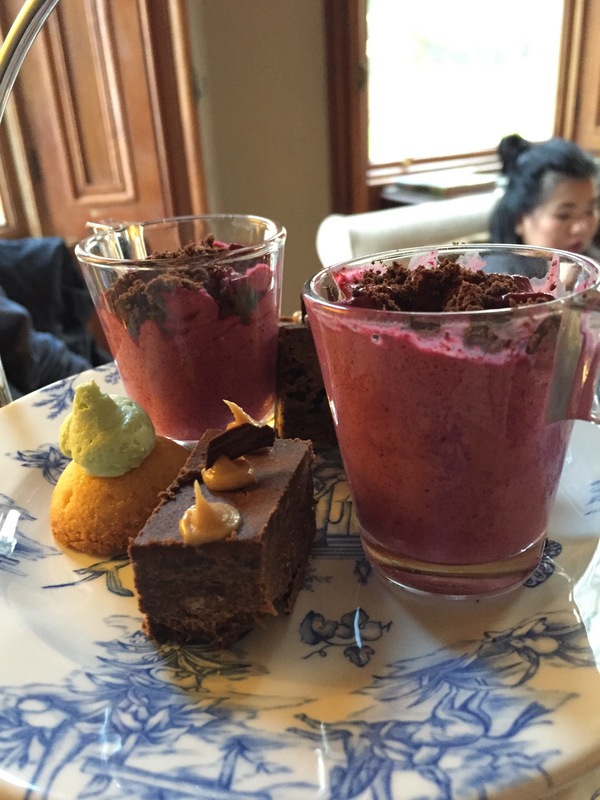 The Afternoon Tea was €35 for two people which I think is really good value. 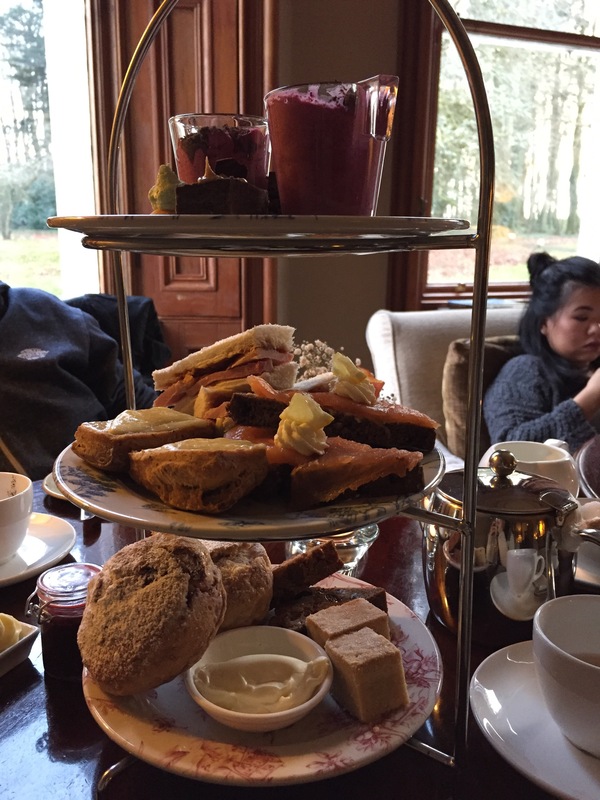 The priciest afternoon tea I’ve had to date was in Glenlo Abbey which was €26 per person but it filled us up for the whole day and was delicious. 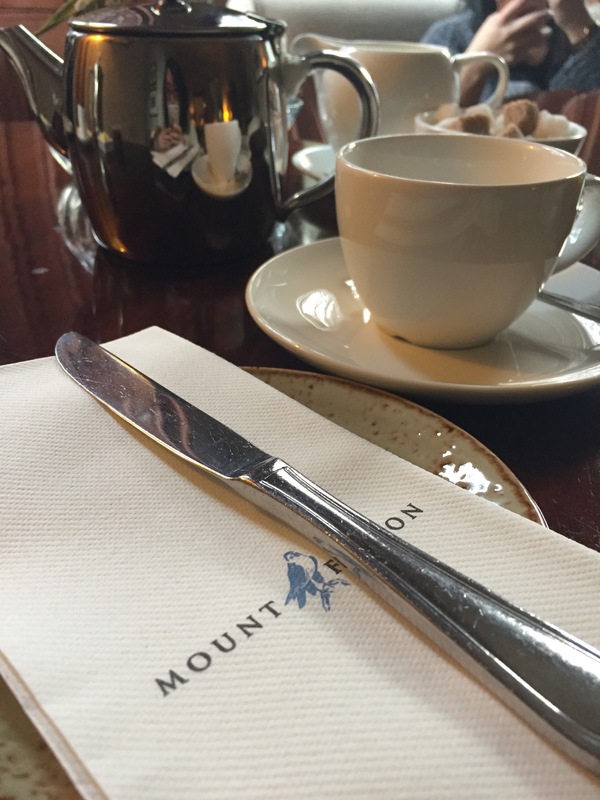 The afternoon tea in Mount Falcon was excellent! We really enjoyed it and it filled me up for the rest of the day. The room we were sitting in was lovely and cosy with an open fire. The bottom tier had a home-made scone, fruit cake and a piece of shortbread. 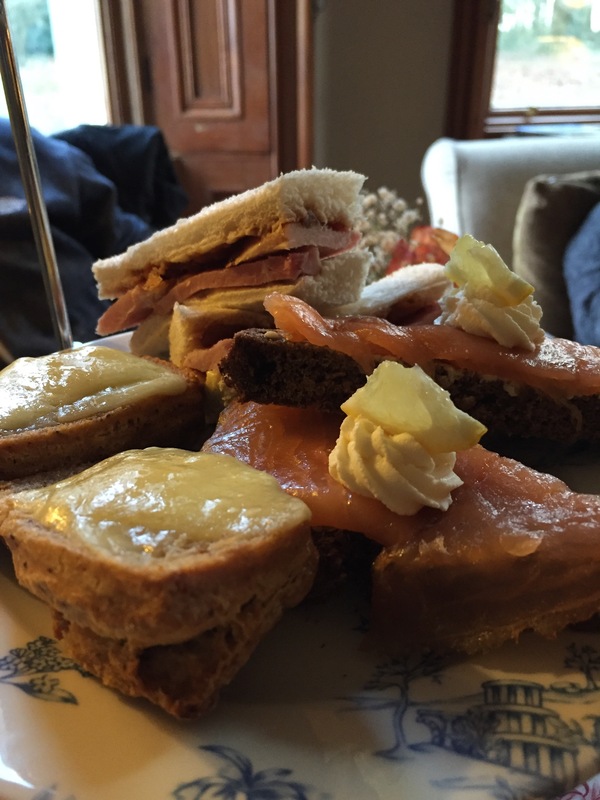 The middle tier had bread with melted cheese, a gammon sandwich and smoked salmon and cream cheese on brown bread. The top tier had a peanut butter chocolate brownie, a mini madeleine and a chocolate and blackberry fool. 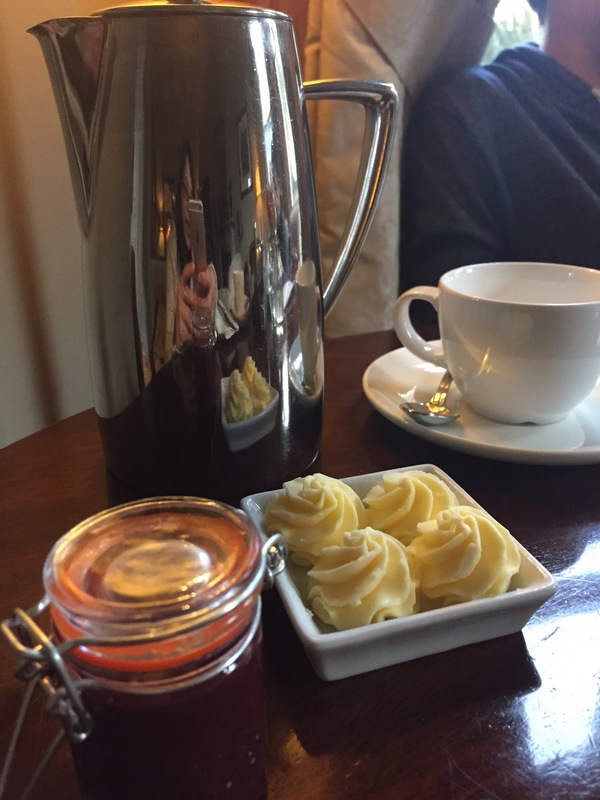 I got a pot of tea with marigold, chamomile, elderflower and other flowers and the OH got a big pot of coffee. Each item was delicious and we’ll definitely be back. The grounds are lovely too but it was dark for us to go for a proper walk. We popped into the leisure centre for a few minutes and the spa prices seem pretty reasonable. My sisters friend works there and recommended the hot stone massage.